A beautiful, heart-wrenching novel from the New York Times bestselling author of Tatiana and Gorky Park, set against the dangers of Italy in World War II as a young couple must outrun the Nazis to protect their forbidden love. Venice, 1944. The war may be waning, but the city is still occupied and people all over Europe fear the power of the Third Reich. 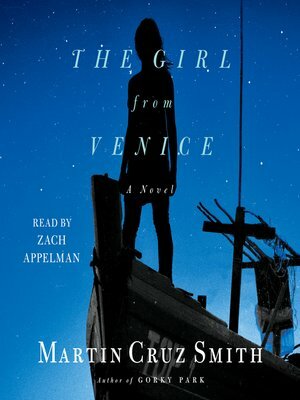 One night, under a sky of brilliant stars, a poor fisherman named Cenzo comes across a girl's body, floating in the lagoon. He carries her into his boat and soon discovers that she is very much alive, and very much in trouble: born to a wealthy Jewish family who has been captured and deported by the Nazis, Guilia is on the run after she was found hiding in a local hospital. Cenzo decides it's the right thing to do to help her escape, never anticipating an innocent act of chivalry would quickly turn to love as the two grow closer. Set against the beauty, mystery, and danger of World War II, The Girl from Venice is a sweeping and romantic love story from one of our most celebrated contemporary suspense writers.